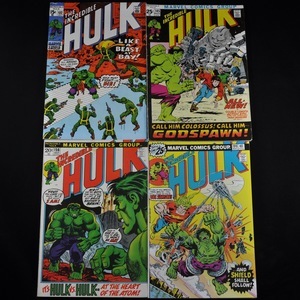 Collection of The Incredible Hulk comic books (Marvel, 1962-1999). 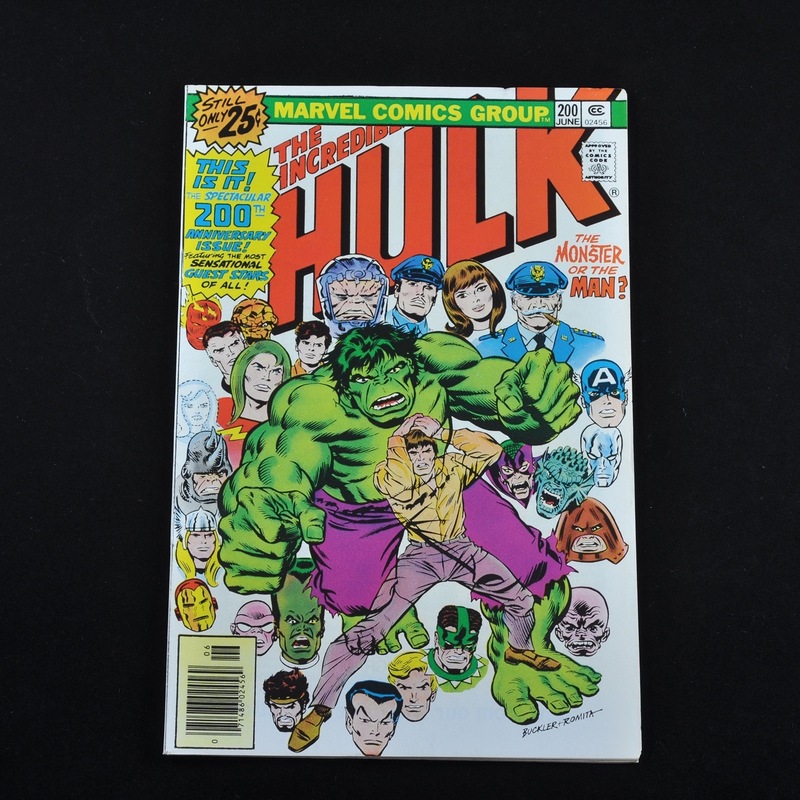 Hulk the superhero first appeared in The Incredible Hulk #1 (1962). 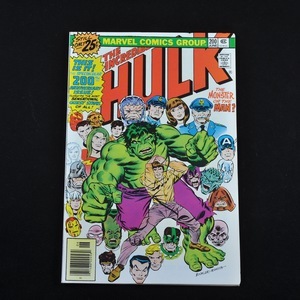 When the comic was canceled in 1963 after just six issues, the Hulk was featured in a different comic Tales to Astonish. However, after Tales to Astonish #101 the series was renamed The Incredible Hulk, with the next issue picking up at #102. 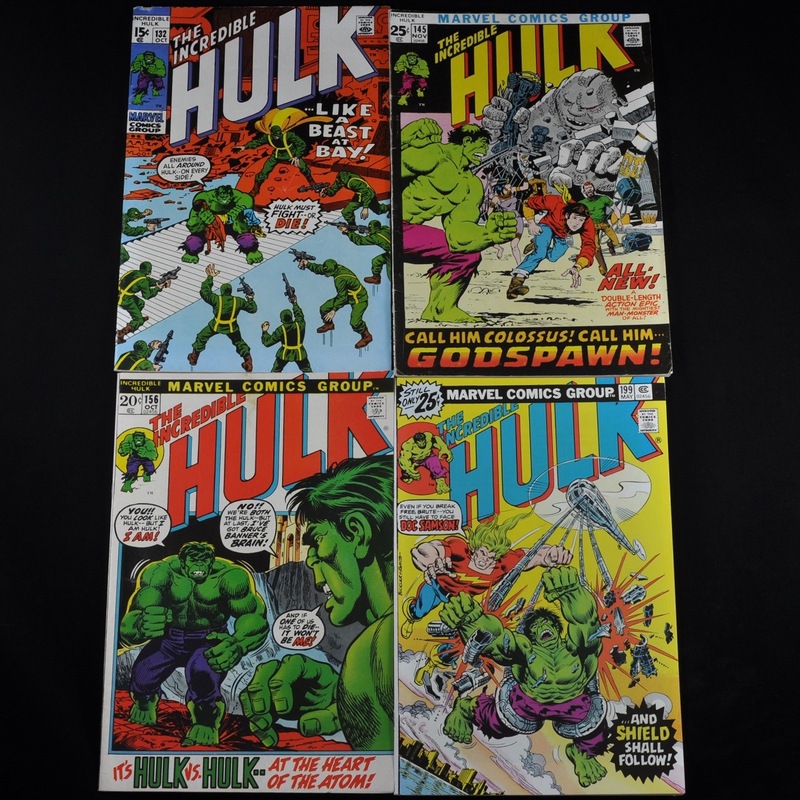 This collection is comprised of five Incredible Hulk comics dating from 1965 to 1968 including: #132, #145, #156, #199, and #200. Dimensions: each book is approximately 10 1/4"h x 6 3/4"w. Processing and shipping within the continental U.S. $25.00 plus 1.5% replacement cost insurance.